Back in 2008, I read a blog post by Tim Brister challenging the Church to be about memorizing whole books of the Bible. Tim outlined a system for memorization that he had gleaned from Pastor Andrew Davis, a system that is now an ebook you can get for about a dollar. Tim went on to describe a practical technique he developed by using Moleskine notebooks to implement Dr. Davis’ system of memorization. I read Dr. Davis’ book (a PDF on the web at the time) and then followed Tim’s pattern to create a Moleskine on the book of Ephesians. It has become my Bible Memory Moleskine and the pattern for a discipline I had never developed before Tim’s post. It’s a good method for getting God’s Word into you for the long-term. I wish I could say I did it in the scheduled 24 weeks, but we will be held accountable for every idle word. (Matthew 12:36) However, I did eventually memorize the book of Ephesians, and it led to memorizing other passages, though not whole books. I also set up a Moleskine on Philippians for my wife. In 2012, I got the opportunity to teach an Apologetics class to juniors at King’s Academy here in Tyler. Although I did not require it last year, this year, part of the course grade is the weekly testing of a section of Ephesians patterned after Tim Brister’s initial schedule. My goal is to have the juniors at King’s leave their junior year being, at least, very familiar with Ephesians and very confident that memorization of entire books of the Bible is entirely possible for anyone. Some, of course, balk at it. Others have taken to the memorization project like a duck to water and have done well. I’m excited for those who are pressing forward with a project that, I know, seems so daunting on the front end. I have seen the benefits of memorizing intentionally with only one book so far. I hope to do many more. Here are a few of those benefits. Obviously, I have not done an empirical study with a large test group on this issue. I can only tell you that by forcing my head to go through the exercise of memorizing at least a verse a day, I have noticed an increased ability to retain other things that I read. Other sections of Scripture have been memorized with lesser effort than when I started Ephesians. 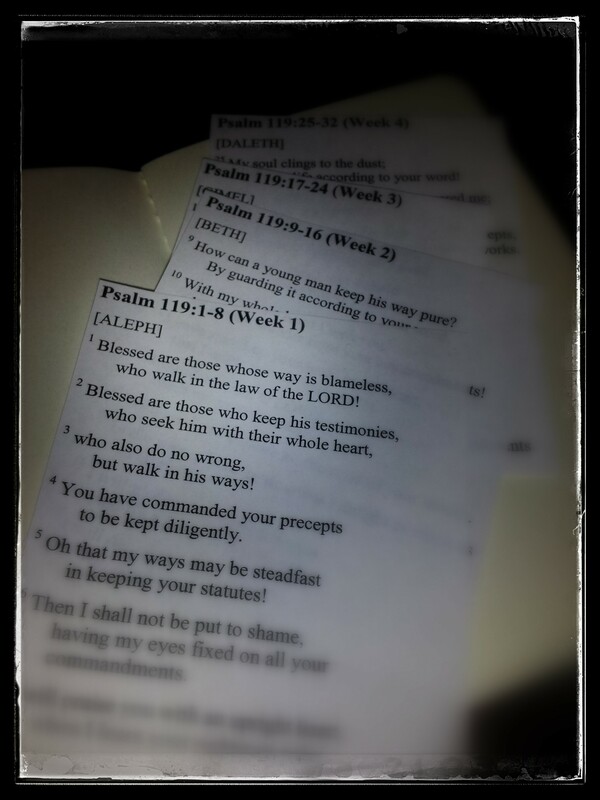 An amazing thing happens when you chew on God’s Word through memorization: you think about it. Why did Paul say it that way? Where is he going with this? What’s the point of bringing that up here? Why does he seem to repeat the same idea in the same sentence? It’s a beautiful thing and helpful not only in how we think, but how our emotions are redeemed through the washing of the Word. Working through a question in the Text has often yielded to me yet another avenue of awe of and joy in the God of my salvation. “Umm…Father God, we just…umm…” I have found an increased confidence in my private and public praying while gleaning from the language I have memorized in Scripture. I don’t merely quote Scripture, though I do sometimes, but I try to pattern the petition of prayer after the flow of Paul’s prayers, for example. Again, comfort level may drift from person to person and circumstances, but it is just helpful to be familiar enough with the prayers in Scripture that it informs the language we use when we pray. There are, of course, other benefits. However, these are some of the ones that have affected me. 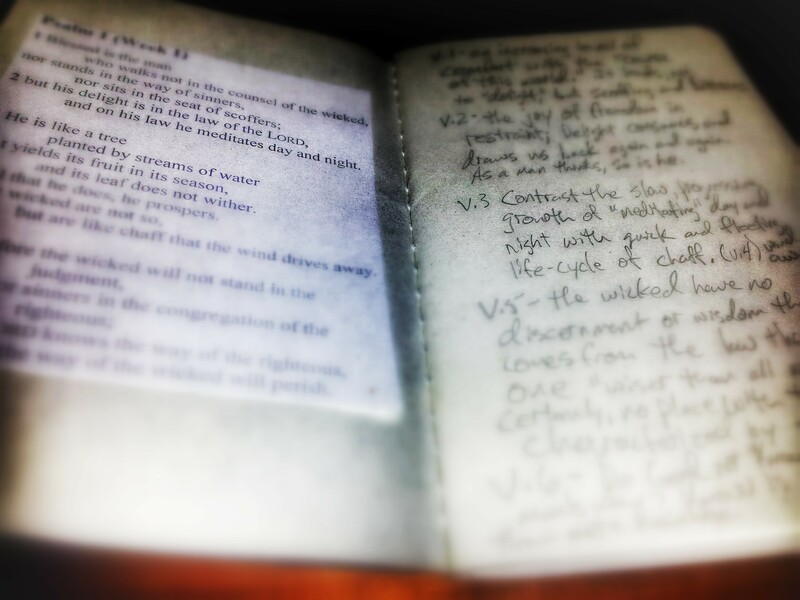 My next memorization venture is only slightly more ambitious than Ephesians. 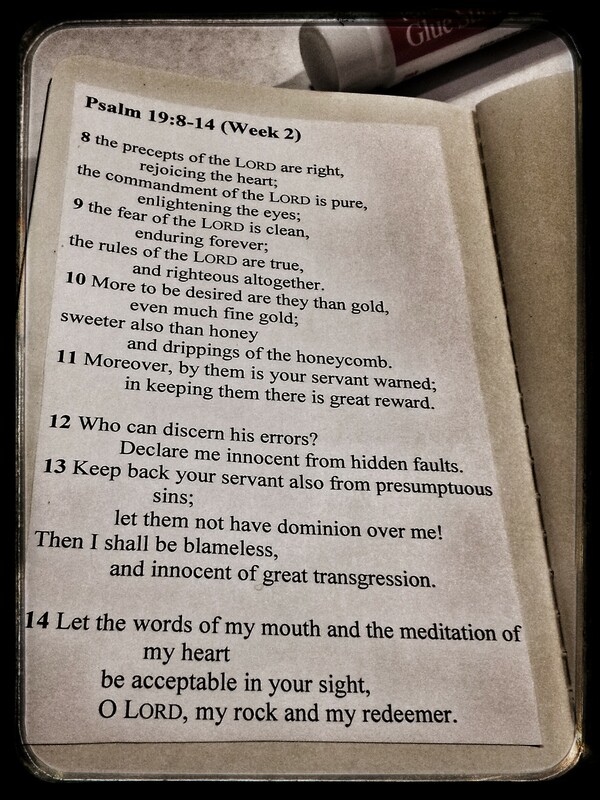 I have put together another Moleskine that includes Psalm 1, 19, and 119. I also thought to put Psalm 51 at the end. 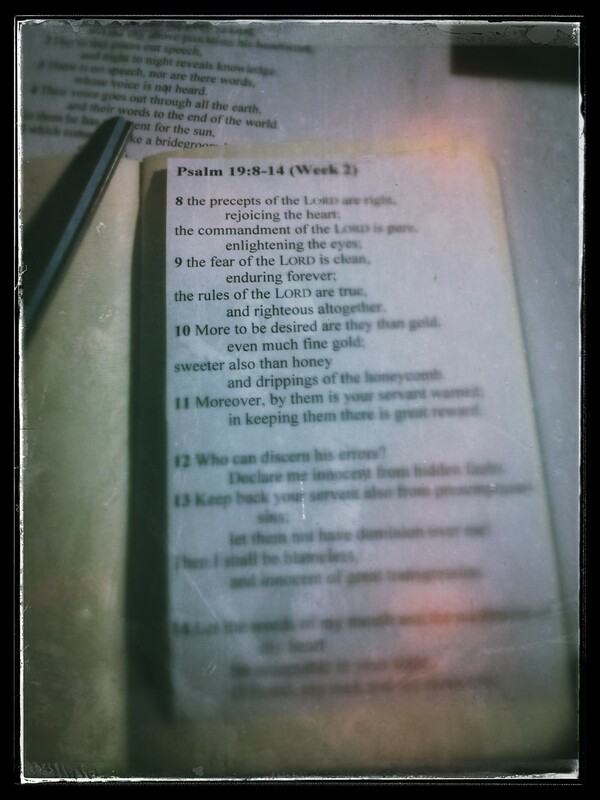 I like the idea of memorizing Psalms that focus on the beauty of God’s Word and the benefits of meditating on it day and night. One addition to Tim Brister and Dr. Andy Davis’ method and system that I would add is the online program, LearnScripture.net. The hard work of memorizing seems to be more efficient using a Moleskine, but I really like maintaining what I have memorized with LearnScripture.net. Competition is fun to me. Wherever you decide to start, start somewhere and build in the daily discipline of committing God’s Word to memory.